Snacks are an important part of daily life for many people, but how can you adapt your snacks to fit into the healthy eating style of the Mediterranean diet? We lead busy lifestyles and don’t always have time to sit down to a full meal at regular intervals. A quick bite to eat to keep us going until the next meal is a normal habit for most people, unfortunately this may be a chocolate bar or packet of chips from a vending machine or a couple of biscuits from the staff tea room. Not only do these types of snacks provide little in the way of nutrients, they are full of saturated fat, salt, flavours and preservatives, all of which can be detrimental to our health and do not feature in a Mediterranean style diet. ‘Snack’ foods have a bad reputation, which is in most cases well deserved. The typical commercial snack food is a nutrition nightmare, providing nothing in the way of health benefits. However, this does not mean that the concept of snacking is in fact a bad one. A healthy snack between meals can help to curb hunger and prevent you from reaching for a chocolate bar when the three pm munchies hit. In addition to this, if you go into your meals with a feeling of intense hunger, you are more likely to over eat, or grab the first thing that comes to hand without much thought to nutrition or health, a nutritious snack between meals may reduce this type of behaviour. Snacks high in protein or whole grain complex carbohydrates that are digested slowly are perfect to subdue hunger. Eating at regular intervals may also be beneficial for our metabolism, and consequently help with weight control. If we go for long periods without consuming food, our body begins to conserve ‘fuel’ as a safety measure in case it is a long time before more is available. This means storing energy in the form of fat, rather than burning it. If we eat small amounts regularly this limits storage of calories, as the body knows it will get more fuel soon. An ideal snack should be around 200 calories or less, although if you are trying to lose weight you may wish to choose lower calorie options. Finally, snacking can be an excellent way to add more nutrition to your diet. You can boost your calcium intake with a low fat dairy based snack such as yogurt or fresh cheese, or increase vitamins with fresh fruit or vegetables. 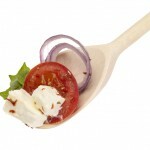 What makes a good Mediterranean diet snack? The Mediterranean diet promotes a high intake of whole grains, nuts, legumes, fruit and vegetables and fish and a moderate intake of low fat dairy products and healthy unsaturated fats such as olive oil. Therefore snacks based on these foods are ideal. 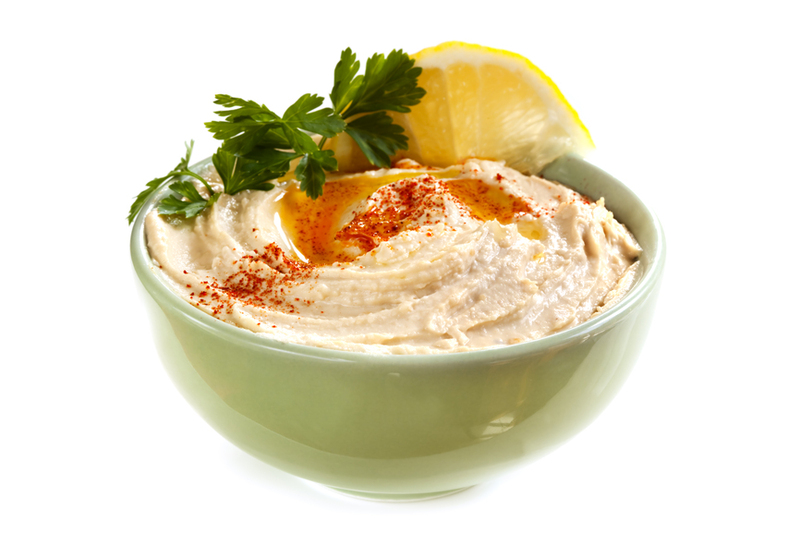 This chickpea based dip made with olive oil is an ideal Med diet snack, high in fibre, unsaturated fats and protein to keep you fuller for longer. By dipping chopped vegetables such as carrots, cucumber, or capsicum you are also increasing your intake of important vitamins and minerals. Sprinkle the dip with a little paprika and lemon juice for flavor. 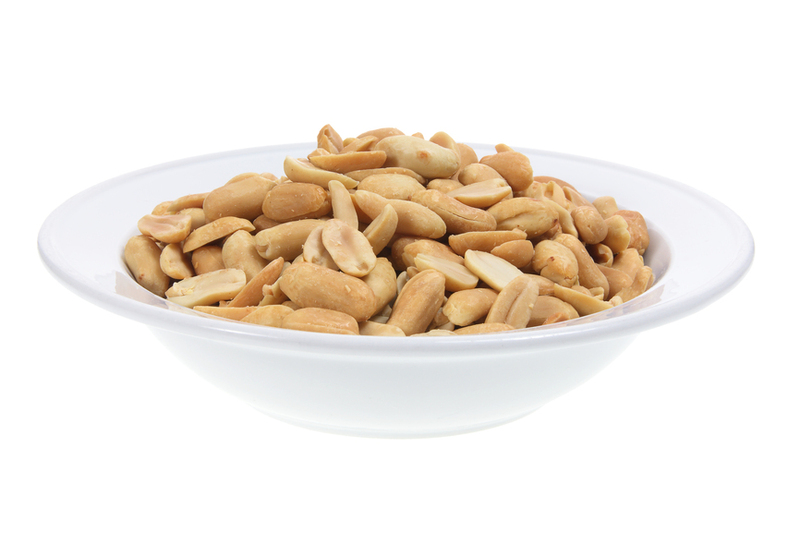 The perfect natural snack on the go, nuts make a quick and easy snack option that is easy to transport. High in protein, nuts will keep you fuller for longer as well as providing fibre, Vitamin E (an important antioxidant), unsaturated fats and a whole range of other vitamins and minerals important for health. Almonds are particularly nutritious, but make sure you choose unroasted varieties as saturated fats such as palm oil are often used in the roasting process. 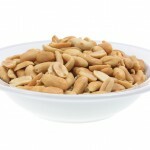 It is also important to stick to a small handful if you are watching your weight as nuts are high in calories. A quick and delicious salad that is incredibly simple and packed with nutrition. Tomatoes are contain Lycopene, an important antioxidant that reverses cell damage in the body, as well as high levels of vitamins A, C and potassium. 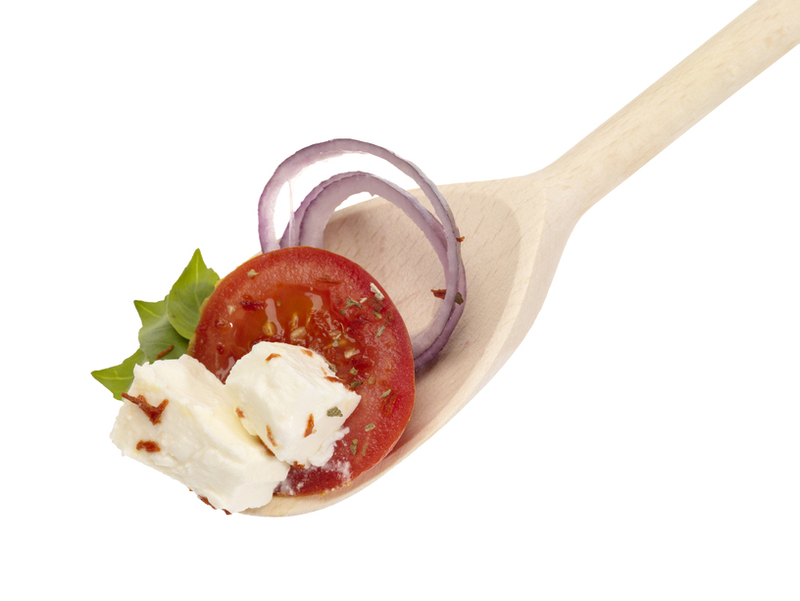 Paired with low fat feta cheese for extra protein and calcium and olive oil for healthy fats , this combination makes the perfect nutritious yet healthy mid afternoon snack and combines three important components of the Med diet. 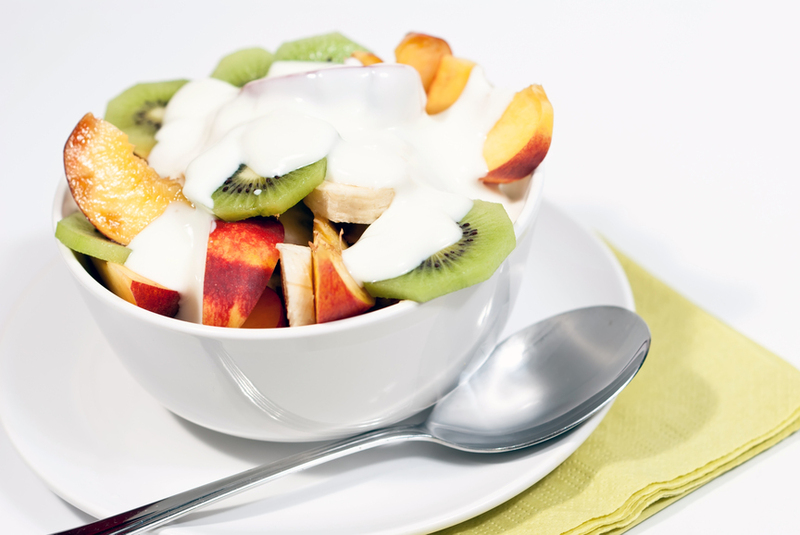 Slice a variety of fresh fruit into bite sized pieces and arrange them around a bowl of low fat natural yogurt for a Med diet friendly party snack. This not only looks beautiful and tastes great, but provides vitamins, fibre and calcium and a low fat snacking option for parties that everyone will thank you for. 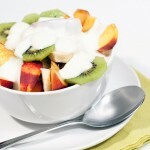 Drizzle a little honey into the yogurt if you prefer more sweetness. This snack is also a great work or school snack, just chop up fruit and put in a plastic container and pack a mini pot of yogurt for dipping. 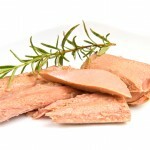 Oily fish such as tuna are an important protein source in the Med diet. By combining reduced salt tinned tuna with whole grain crackers, you are also increasing your intake of whole grains, another important part of the diet. Tuna provides Omega 3 fatty acids, which play a part in lowering blood cholesterol levels, as well as protein to stop your hunger. 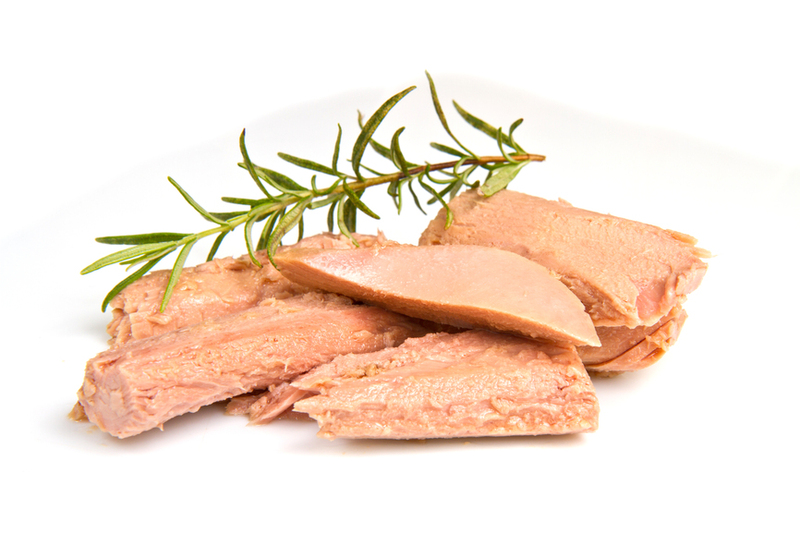 Tuna packed in olive oil is the ideal choice for those following the Med diet, but if you are watching your weight a water packed one is lower in calories.